Chinese mobile startup OnePlus is now releasing an update to its OnePlus 2 smartphones, which will bring the new OxygenOS version 3.5.5 to OnePlus 2 devices. As a significant update, OxygenOS 3.5.5 finally offers the VoLTE support for select carriers, however forgoing the anticipated Android 7.0 Nougat upgrade. OnePlus says that the OxygenOS 3.5.5 rollout is occurring in a phased manner, and will reach only a small proportion of users initially, although a broader rollout is expected in coming days. With OxygenOS 3.5.5, OnePlus 2 users will be able to make VoLTE calls for some carriers only. The company, however, doesn't list the carrier names - notably though, the VoLTE enabling update for the OnePlus 2 was announced by OnePlus India in September, with specific reference to enabling the feature for Reliance Jio networks. Apart from the VoLTE support, the update brings minor updates and redesign to the interface. New features includes App Lock, Battery Saving Mode, Gaming Mode, new Alert Slider options, and a new Volume Adjustment Bar. There are also some bug fixes and shelf optimisations that have been addressed with this update. This OxygenOS 3.5.5 update doesn't bring the much-awaited Android 7.0 Nougat to OnePlus 2 devices. The Android security patch level has been updated to December 1 with this build. If you're going to update your OnePlus 2, you need to keep in mind that this update will replace your Clock, Calculator and Messages app to the stock OnePlus apps if you never updated their corresponding Google apps. You can choose to download them later if you like Google's stock apps. Apart from that, a lot of configurations will be reset after the update like the device name, ringtones, accent colours, and the battery bar indicator. 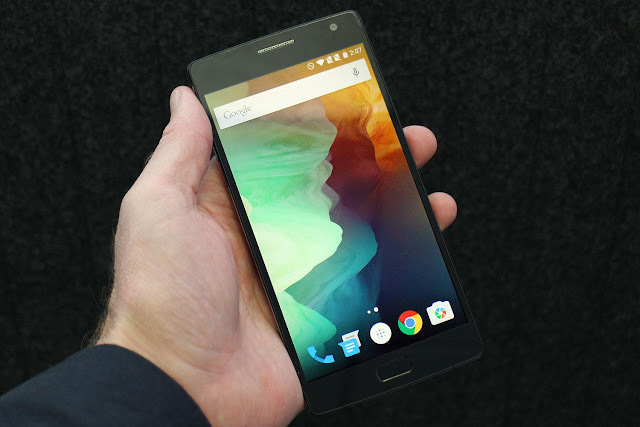 Besides, OnePlus is also gathering feedback from OnePlus 2 users after they update their smartphones to OxygenOS 3.5.5. On its forum, OnePlus has given some useful links as well if you somehow want to downgrade your OnePlus 2 firmware to OxygenOS 3.10. As we mentioned that the update is rolling out in a phased manner, so OnePlus 2 users who have not received any update notifications yet, should receive the OTA update notification in a next few days.